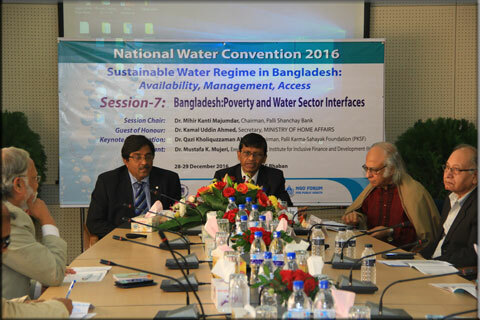 The country’s top water experts assembled at the 2-day National Water Convention titled “Sustainable Water Regime in Bangladesh: Availability, Management, Access” on 28-29 December 2016 at PKSF Bhaban, Agargaon, DHaka. 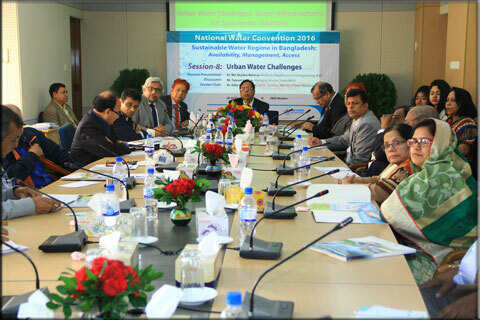 The 2-day National Water Convention was jointly hosted by Palli Karma-Sahayak Foundation (PKSF), Bangladesh Unnayan Parishad (BUP) and NGO Forum for Public Health. 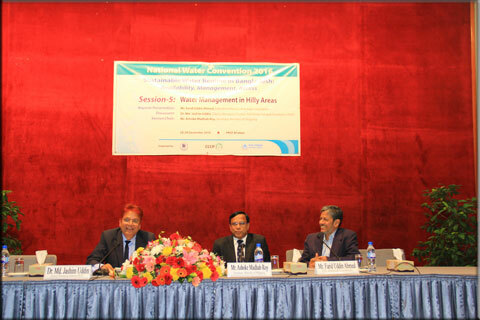 This convention was organized to review the state of affairs in respect of various key water sector issues with an emphasis to how the increasing water issues and problems can be more effectively addressed and how coordination between the Government and the various stakeholders can be strengthened. 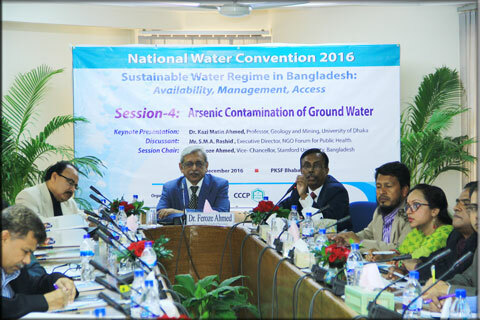 Barrister Anisul Islam Mahmud, MP, Minister, Ministry of Water Resources inaugurated the event as the Chief Guest of the Convention. 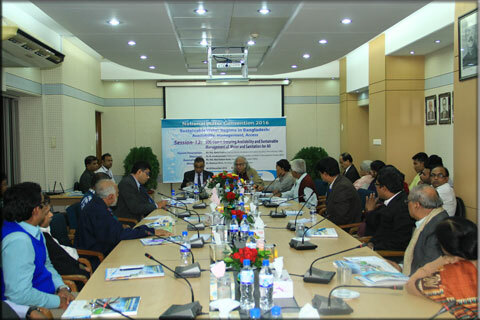 Dr. Qazi Kholiquzzaman Ahmad, Chairman, PKSF presided over the inaugural session while Mr. Md. Abdul Karim, Managing Director, PKSF warmly welcomed the guests with a call to uphold the spirit of the Convention. 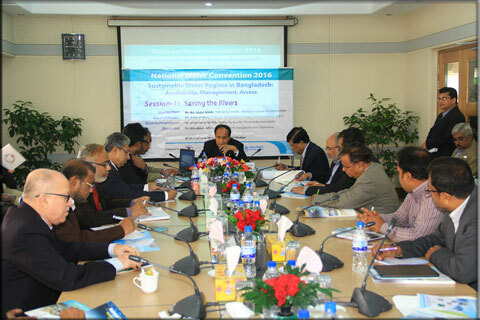 Introductory remarks were delivered by Mr. S.M.A. 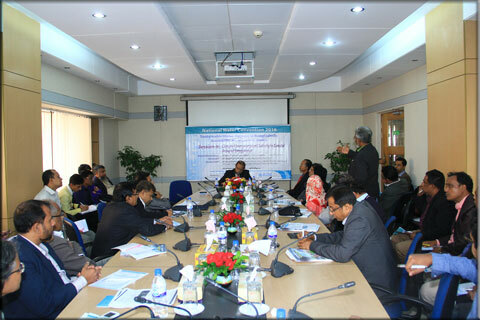 Rashid, Executive Director, NGO Forum for Public Health; and Dr. Nilufar Banu, Executive Director, BUP. 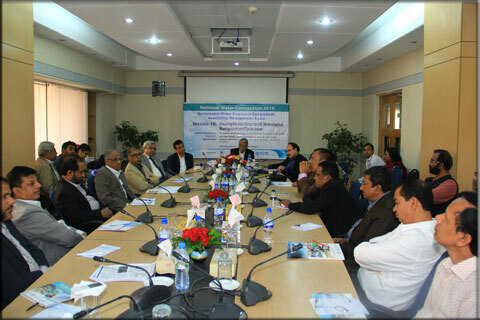 The event was divided in 13 technical sessions in which key-note papers were presented by eminent water experts, renowned academicians, researchers, top government officials, international & national NGO professionals. 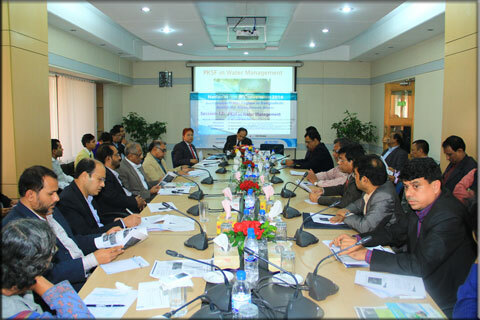 The 13 technical sessions covered various water resources management issues of the country. 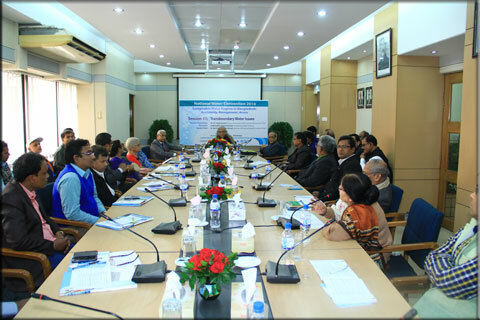 The sessions included remarks and observations on Climate Change Induced Salinity in Coastal Areas of Bangladesh; Participatory Water Management; Flood Management in Bangladesh; Bangladesh: Poverty and Water Sector Interfaces; Water Management in Hilly Areas; Water Management in Drought-prone Regions; Arsenic Contamination of Ground Water; Urban Water Challenges; Saving the Rivers; Ensuring Potable Water for All: Technological, Management & Social Issues; Trans-boundary Water Issues; PKSF in Water Management; and Ensuring Availability & Sustainable Management of Water & Sanitation for All. Around 300 sector professionals from the GoB, diplomatic missions, academia, media, International & national NGOs, civil society etc took part in the Convention. 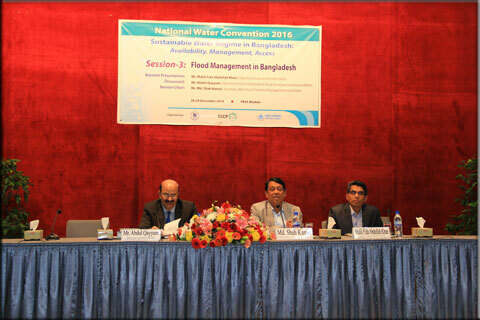 PKSF Chairman and eminent specialist on water use and management Dr. Qazi Kholiquzzaman Ahmad was the convener of the Convention. 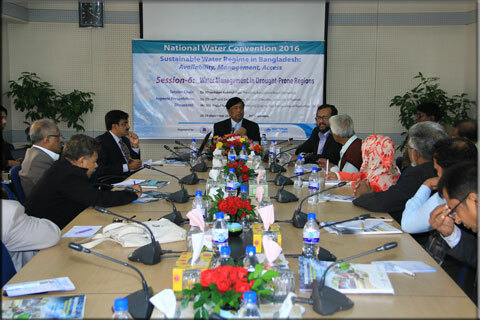 Dr. Ahmad pointed out to the deep connectivity between water and poverty.